This story is about Liane Chu. 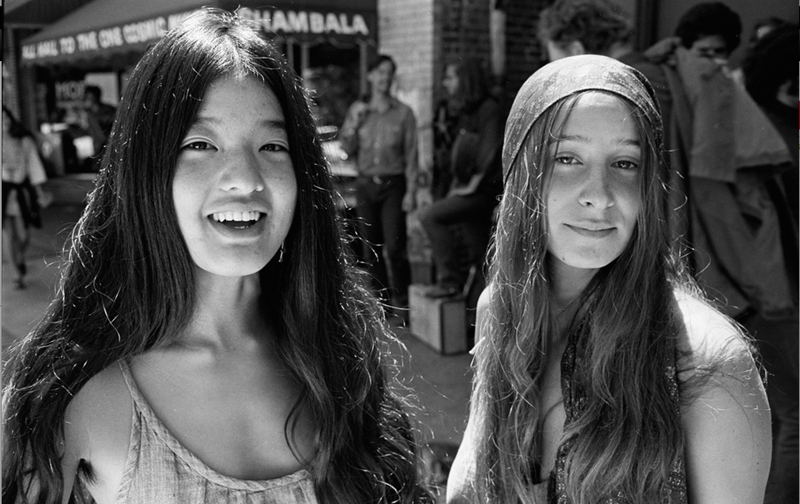 Chu is on the right in this photo, Wendy Schelisinger on the left. 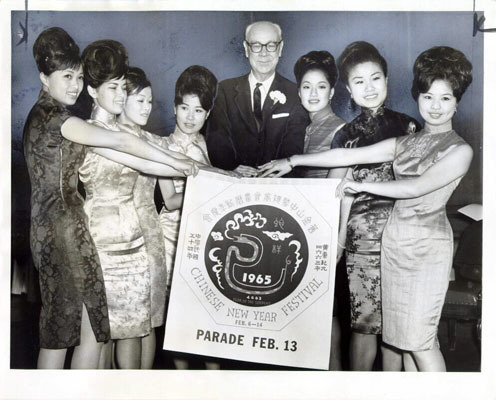 Nacio Jan Brown made the photo early on the first work day at People’s Park in 1969. 1) Matriculated at Cal and was arrested for trespass in Sproul Hall during the 1964 Free Speech Movement sit-in. 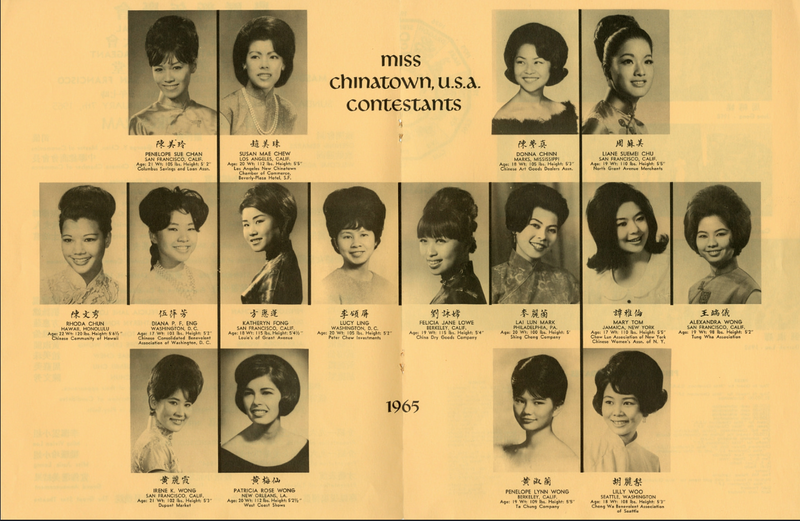 2) Was crowned Miss Chinatown San Francisco in early 1965 and served/reigned a year in that capacity. 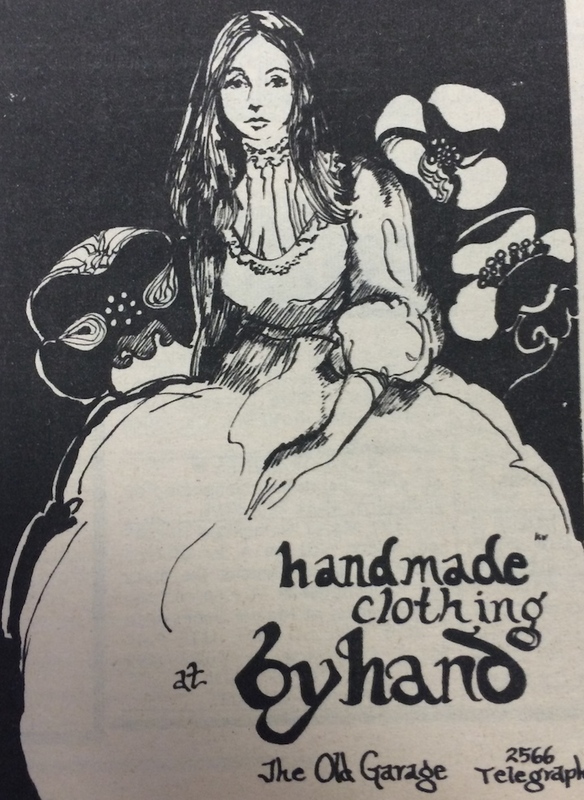 3) With Michael Delacour opened a dress shop, the Red Square, on Dwight for beautiful hand-made clothing. 4) Was part of the initial construction of People’s Park. 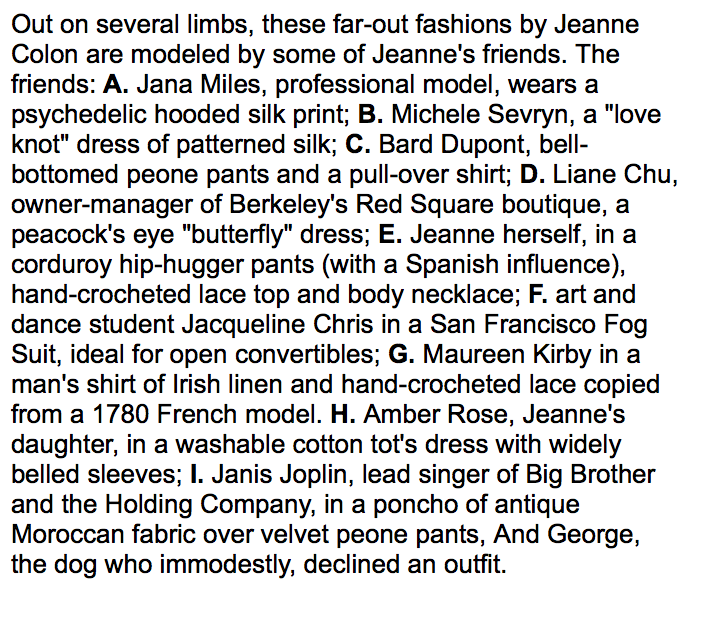 This list is counter-intuitive or cognitively dissonant or – just not what you’d expect, or – a Berkeley story. Chu was born in Hawaii. When she was nine her family moved to San Francisco. 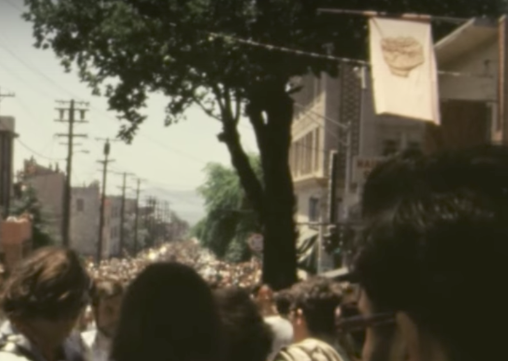 As the Beat scene grew on Grant Street in her high school years, Chu explored. 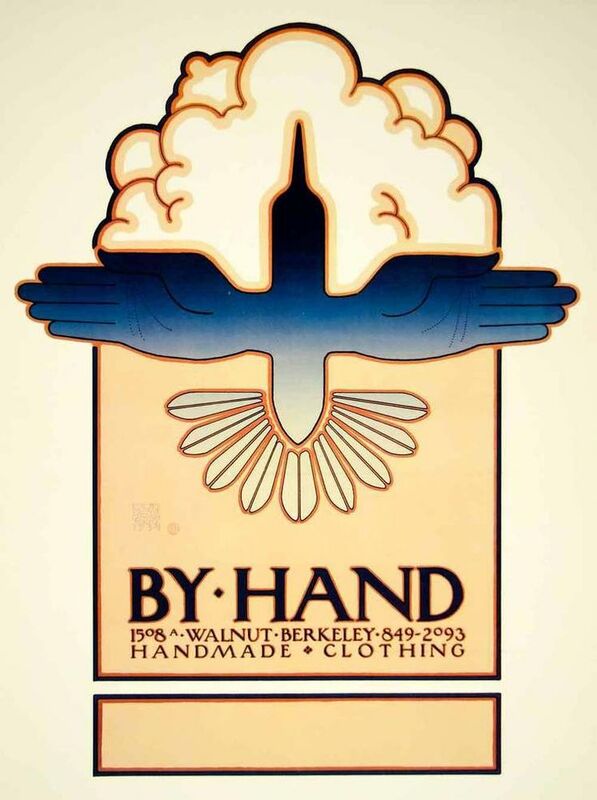 The Sandal Shop at 1424 Grant Street became Her Place. Owners Bruce and Sarah Glaspell gave her shelter. When she started at Cal, Bruce Glaspell offered her his apartment on Grove Street across from Berkeley High after she started at Cal. She took it. Chu was not particularly involved in the activities of the Free Speech Movement, although she was drawn to the politics. Her father had been a conscientious objector during World War II. She remembers a talk with him when she was 12 or 13 as the family drove to Los Angeles at night. The others slept, Chu and her father talked. He told her about his struggles trying to form a union in a small shop in San Carlos where he worked as a metallurgist. 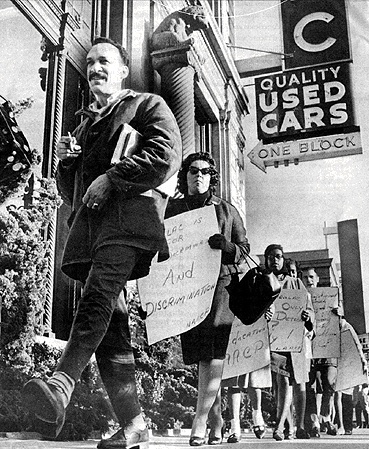 He believed in social justice, and was thrilled when Liane came home from her first picket line on auto row in San Francisco protesting racially discriminatory hiring practices. 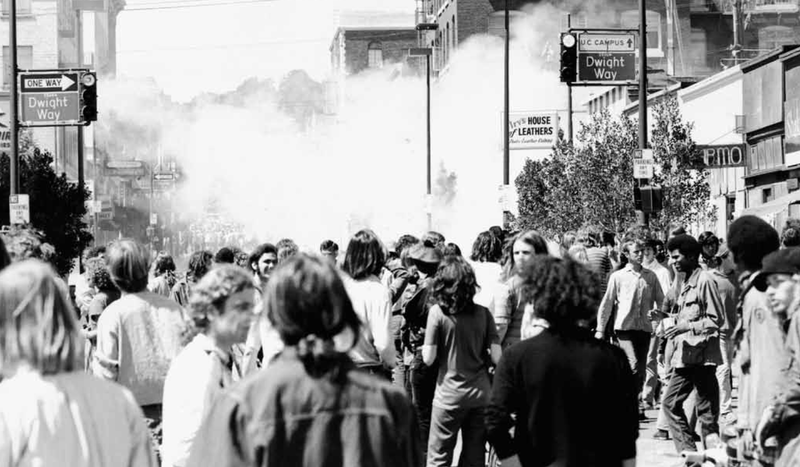 When told on December 4, 1964, that arrests of students who were sitting in at Sproul Hall had begun, she and a few friends hurried to campus and hid in the bushes behind Sproul Hall to observe the goings on. Photo: Sid Tate. UC Berkeley, Bancroft Library. As Chu tells it, she and her friends were surprised by a policemen who marched them into Sproul Hall and then arrested them for trespass. 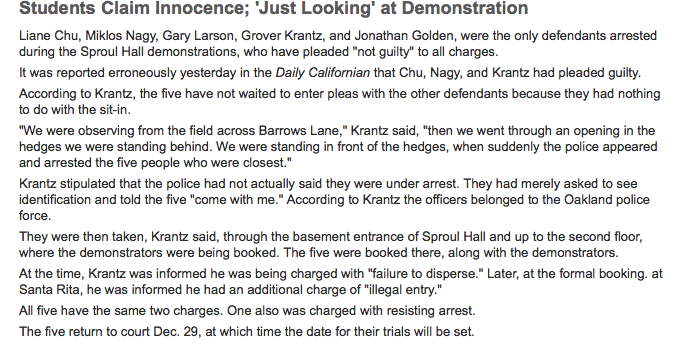 Chu and several others (Miklos Nagy, Gary Larson, Grover Krantz, and Jonathan Golden) entered not guilty pleas. Charges were eventually dropped. A word about Miklos Nagy, full name perhaps Nicholas Nagy-Talavera. Nagy was born and spent his childhood in Oradea, Romania. 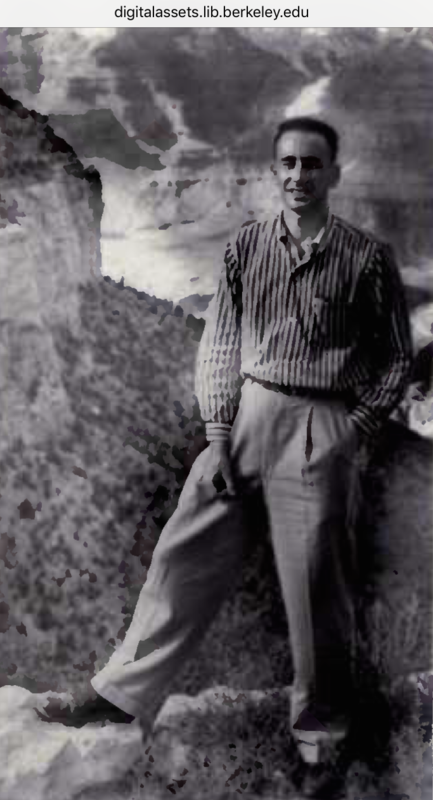 When he was 14, he was arrested and sent to Auschwitz. He survived Auschwitz and returned to Budapest in 1945. His dissident activities drew the attention of SMERSH. He was arrested. He was convicted of espionage. He was sentenced to 25 years of slave labor. His recollections of life in Soviet slave labor camps may be found here. After seven years in the gulag system, he was released. He returned to Budapest in late 1955 and took part in the Hungarian uprising in 1956. When the Soviet Union crushed the uprising, he fled to Vienna and then the United States. He got his doctorate at Cal and in 1967 started teaching at CSU Chico. What a claim to fame – arrested by the Nazis, SMERSH, and the Alameda County Sheriff’s Department. Trifecta! Chu remembers him with admiration and affection. He died in 2000. Because of this arrest, Chu lost her sponsor in the Miss Chinatown San Francisco contest. Say what????? The contest was her mother’s idea. When Chu heard about scholarship money as the prize, she was all in. Here she is with some of the other contestants and San Francisco Mayor John F. Shelley. San Francisco News-Call Bulletin. February 2,1965. Chu is just right of Mayor Shelley. Chu is at the top right of the program’s photos. Chu’s original sponsor had been an Italian North Beach bank that was appealing to Chinese customers. They dropped her after the arrest. Not right! H. K. Wong Furniture on Grant Street conjured up sponsorship by the North Grant Avenue Merchants. 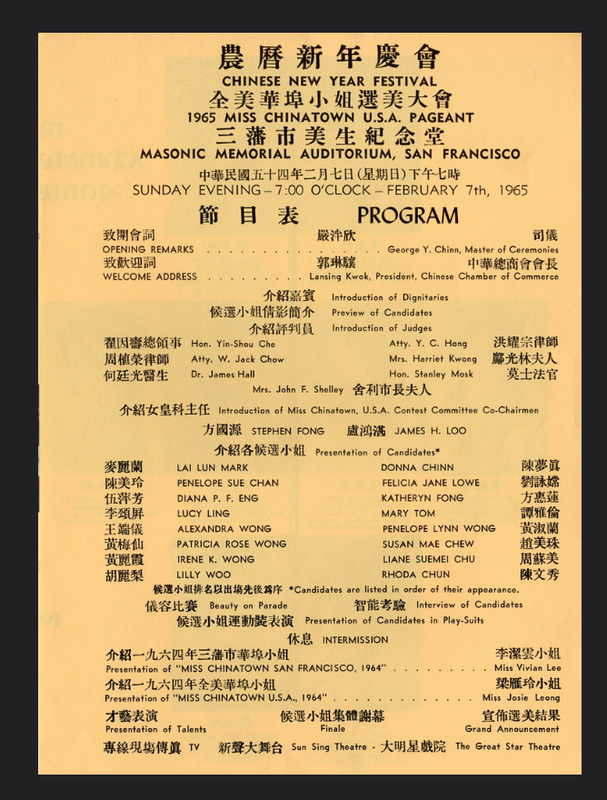 So there she was, fighting criminal charges in Berkeley and serving as Miss Chinatown San Francisco. 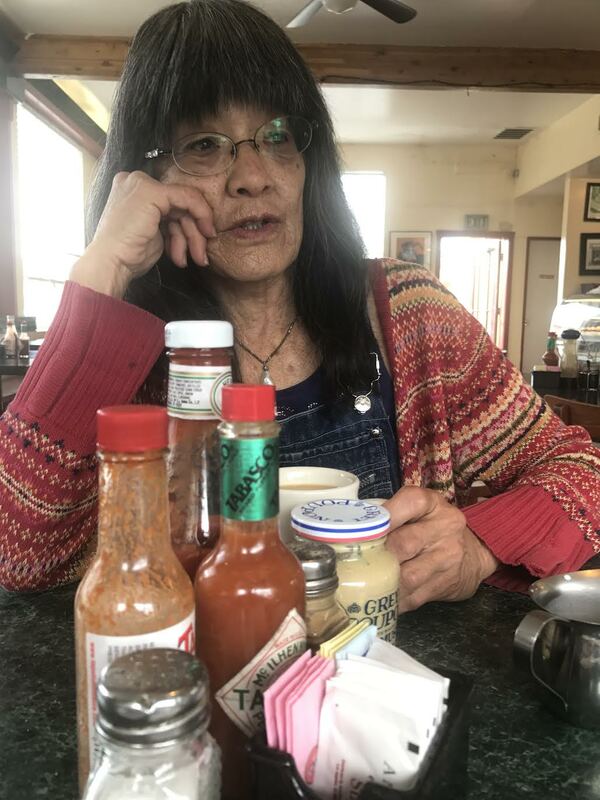 She remembers it as a very special time – traveling to small towns throughout California and appearing at Chinese community events where she was greeted with pride. It was, she says, totally wonderful – in the strangest of places if you look at it right. Who knew? Meanwhile, back in Berkeley, Chu’s friend Jamie Huberman introduced Chu to Michael Delacour. 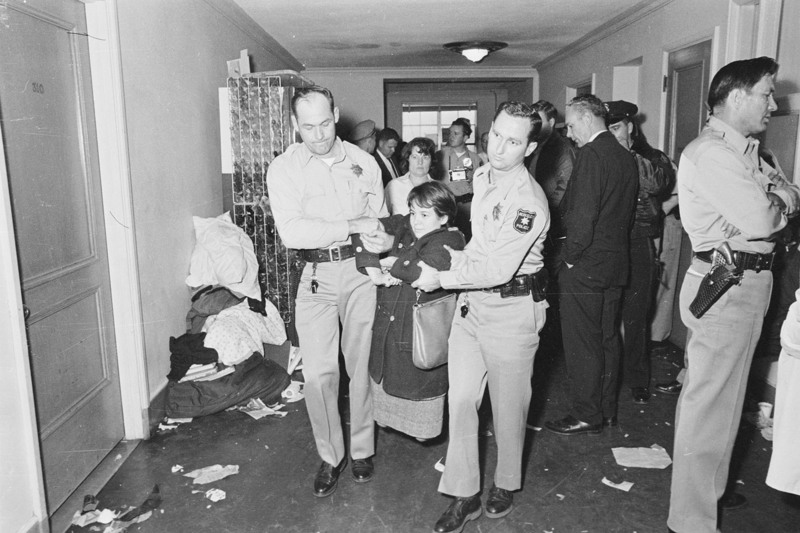 Huberman and Chu met as Sproul Hall arrestees in 1964. The common narrative is that from 1956 until 1964,he had climbed the corporate ladder at General Dynamics, working on missile installations throughout the United States. He lived with his wife and three children in the eastern San Diego suburb of Santee. This may be inaccurate. Nacio Jan Brown is helping me fact-check this. 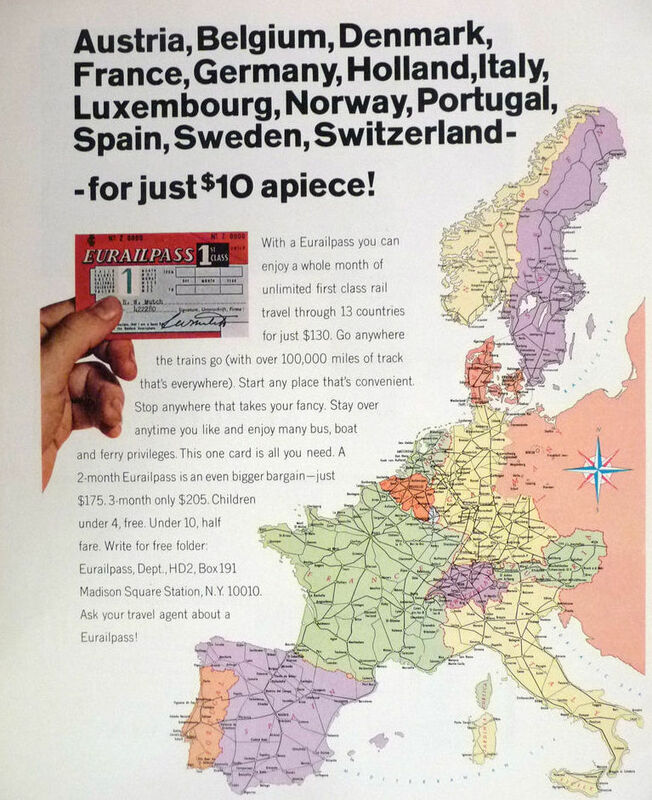 He divorced, quit his job at General Dynamics, and for a year bummed around Europe with a Eurail Pass. When he returned to the United States, it was to Berkeley, not the suburbs. He wanted a community and freedom. He found both in Berkeley. 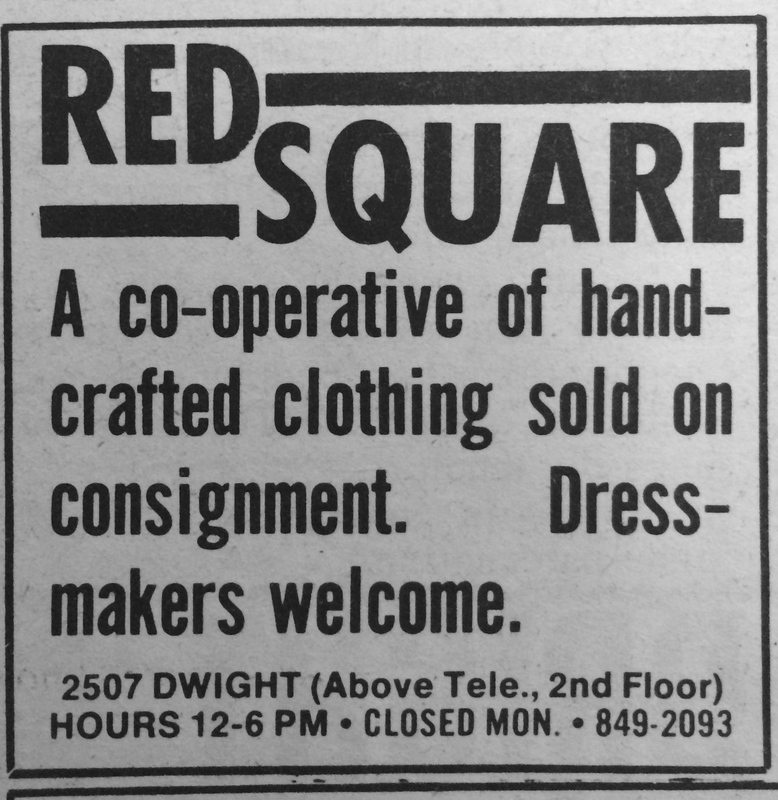 In 1966, Delacour and Chu opened the Red Square Dress Shop at 2507 Dwight. The rent was cheap – $135 a month. 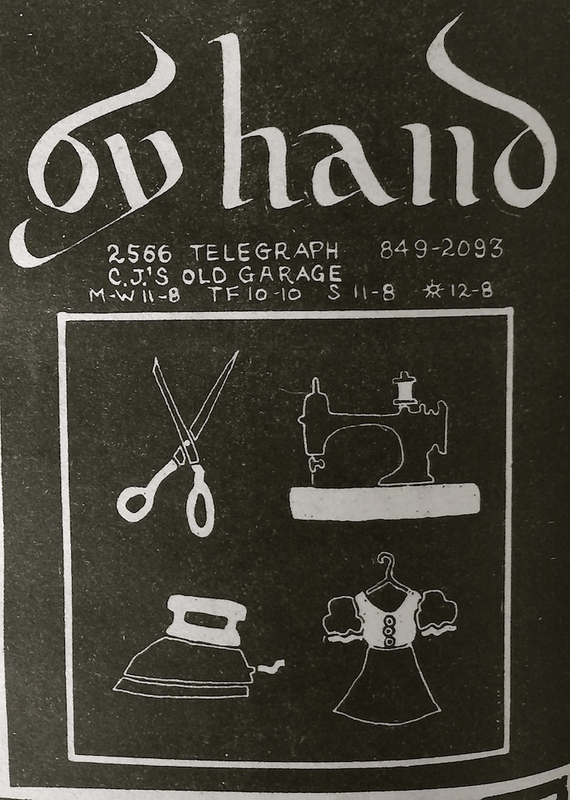 Chu had been working as a seamstress at Yarmo, a dress shop on Telegraph between Haste and Dwight. The Yarmo sign is in the background of these photos. 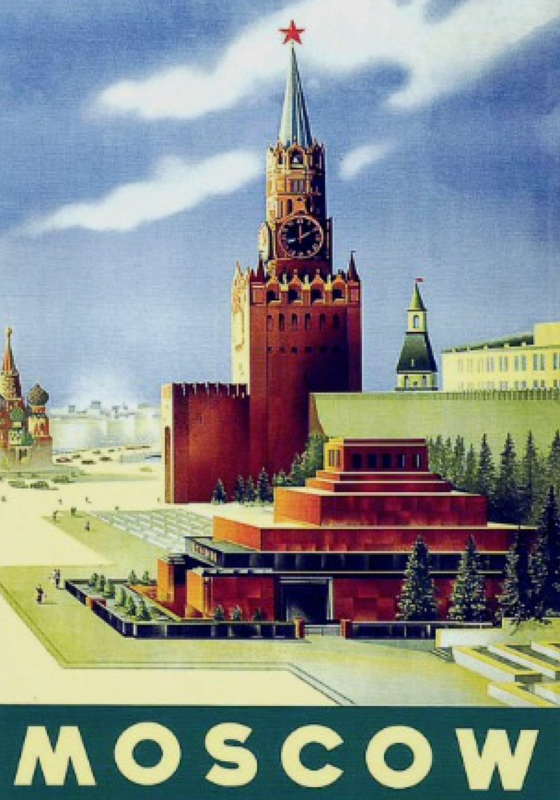 The name “Red Square” had obvious political connotations. The irony is – the pro-Soviet suggestion of the name quickly became So Decades Ago in Berkeley, with dogmatic leftists gravitating towards either Trotsky or Mao, but definitely not Stalin. They chose it for the general left-wing connotation, themselves gravitating towards the Trotskyite International Socialists. Chu and Delacour made clothes and worked the store. They lived in the back of the shop. Delacour says that Chu taught him to sew. He was handy and picked it up. They dried to make a dress a day. Chu is second from the left in the front row. She did not design or make any of the clothes, just modeled. A seamstress named Jeanne Rose made this clothing. 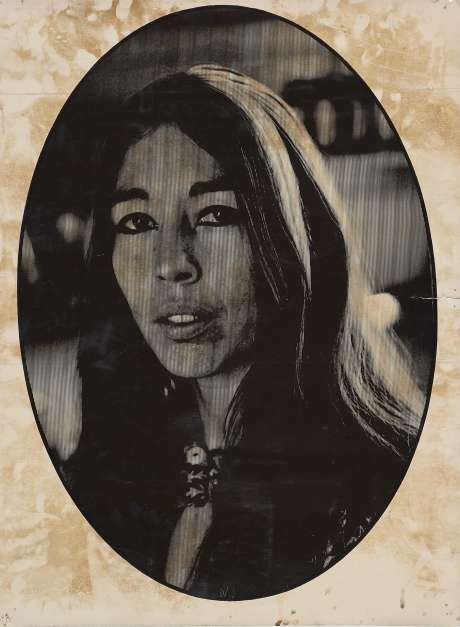 Rose, who worked under other names (Alice Colon, Jean Rose, and Jeanne the Tailor) built a business (New Age Design) designing one-off pieces of clothing, mostly for rock bands in San Francisco. She lived for a while on Oregon Street in Berkeley. I looked at this picture many times. I scanned the caption. 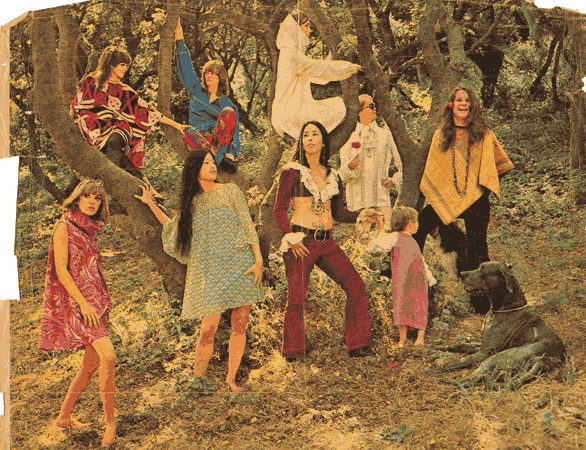 AND I DIDN’T NOTICE THAT THE MODEL ON THE FAR RIGHT IS JANIS JOPLIN, identified in the caption as the “lead singer of Big Brother and the Holding Company, in a poncho of antique Moroccan fabric over velvet peone pants” I had truly mixed emotions when she was pointed out to me – a little embarrassed for having missed her, immensely excited, and impressed with the reader who pointed Janis out to me. 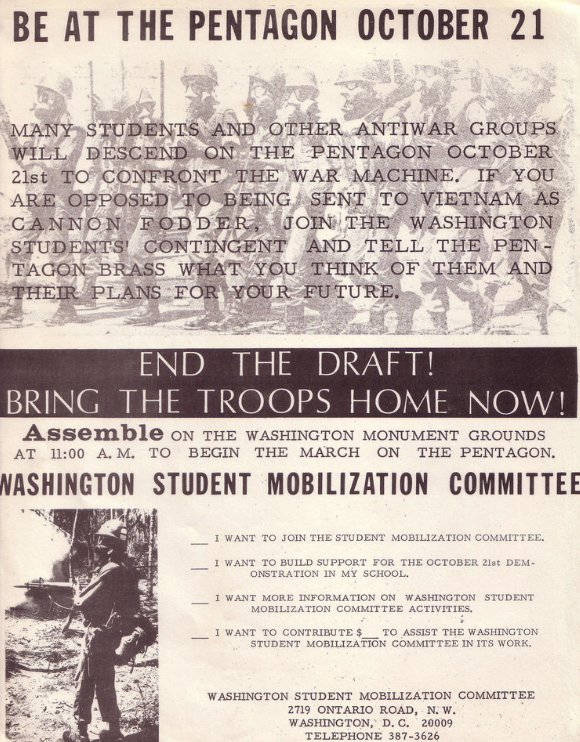 In the fall of 1967, Chu and Delacour organized a trip to Washington to march on the Pentagon. 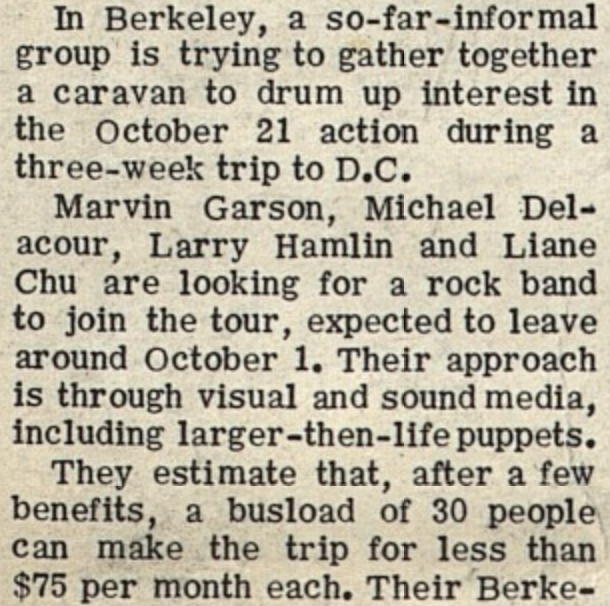 The September 1, 1967 Barb, reported that Chu and Delacour were planning a trip to the demonstration in Washington. Chu remembers nothing about puppets. It is possible that the Barb embellished. 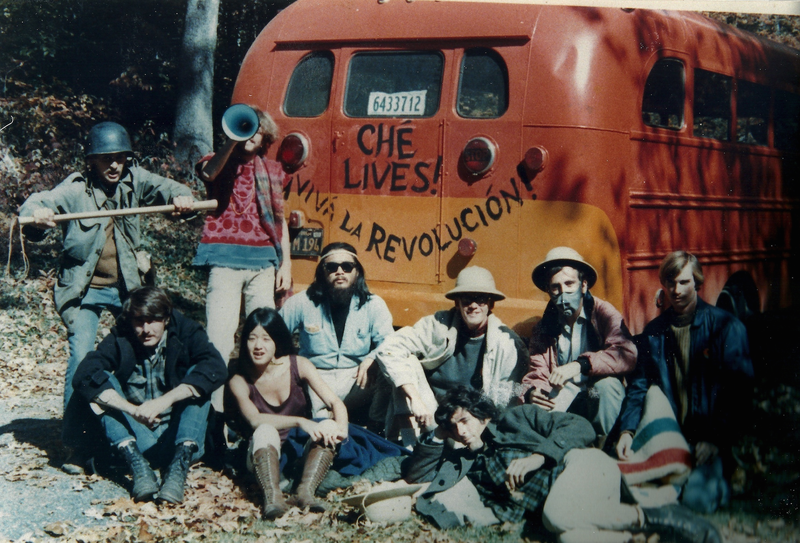 In any event, they bought a bus and a group convened and each person paid around $40 and they headed across the country. Photo: Jamie Huberman. Standing: Dan Niedziejko, Robert Roth. 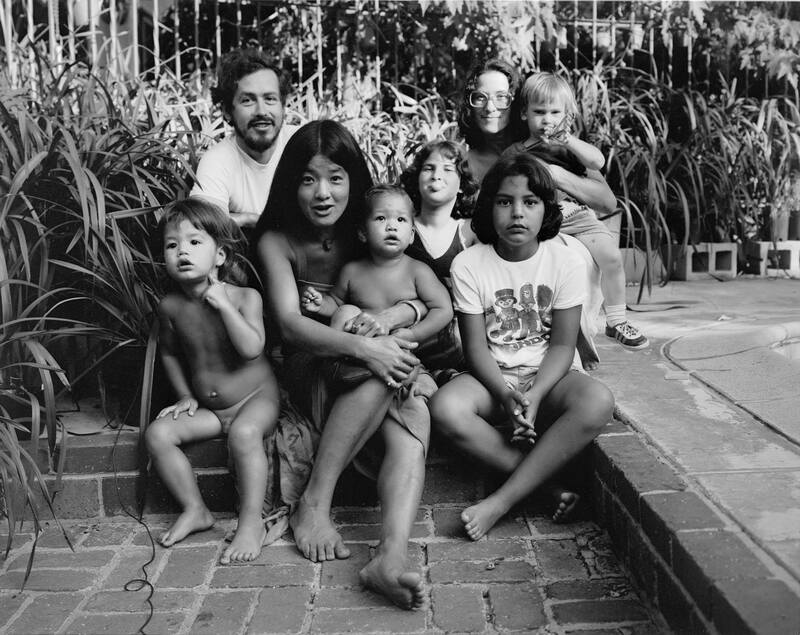 Seated (left to right): Jimmy Delacour, Chu,, Pake, John Larson, Larrie Hamlin, and Jay Gould. Michael Delacour is lunging across the front.. The bus broke down in Wheeling, West Virginia. As it was repaired, the group decided to paint it. The hippie element in the group wanted “make love not war” and other happy peaceful things. The politicos, including Chu, wanted some grit. 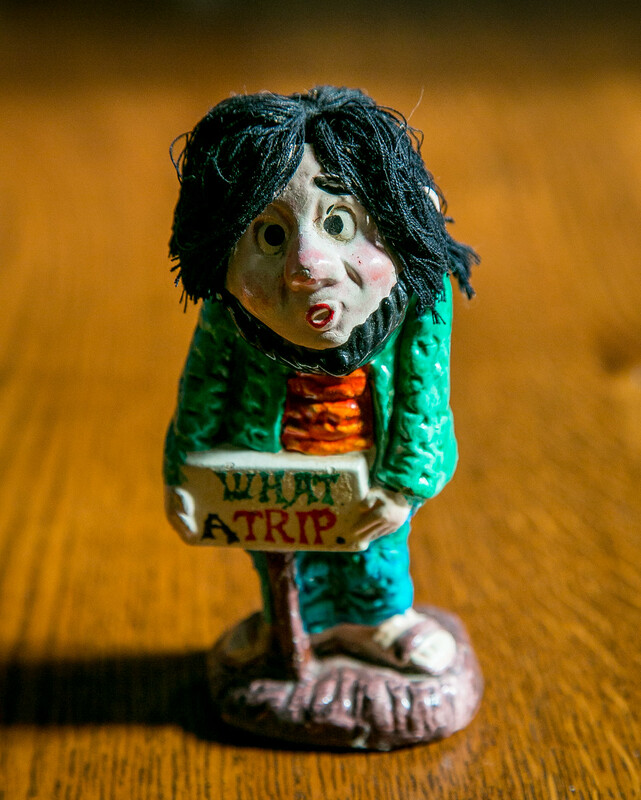 They compromised – one side hippy, one side politico, back of the bus politico. Viva la revolucion! The West Virginia mechanics were so taken with the group from Berkeley that they didn’t charge for their work. Big Love! Liane Chu with Carolyn Fishgold on Telegraph. Photo: Nacio Jan Brown. And then came People’s Park. 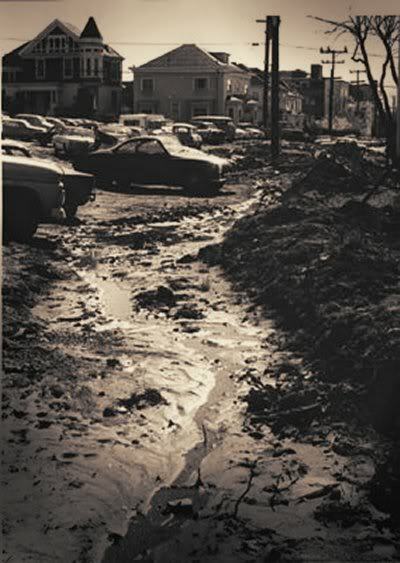 Delacour is all but universally credited with having had the original idea for reclaiming the dirty/muddy vacant block of University-owned land between Haste and Dwight, Telegraph and Bowditch. The University had acquired the property through eminent domain and razed the brown shingle and stucco houses, boarding houses, and apartments lining the south side of Haste, the west side of Bowditch, and the north side of Dwight. May I stop and throw a monkey wrench into that theory, just for a moment? 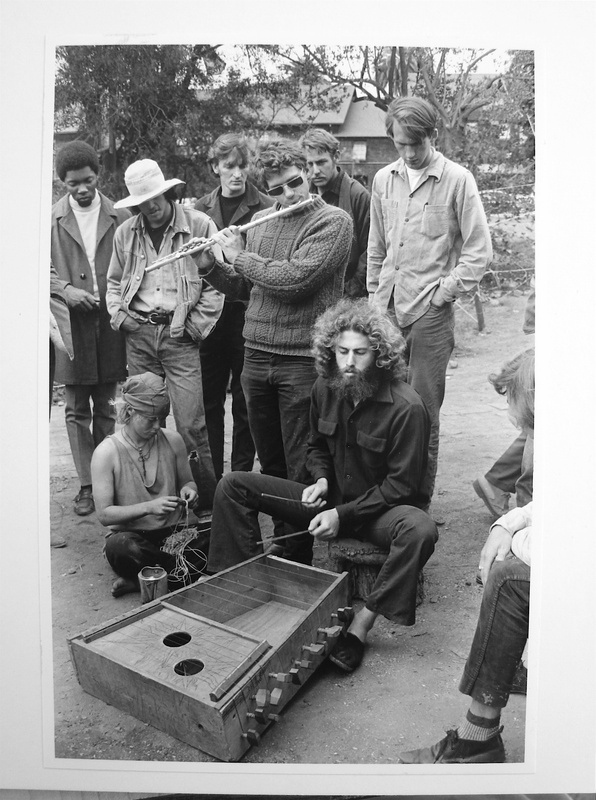 In 1968, Chuck Herrick, a young alumnus of the College of Environmental Design, died in a car accident. 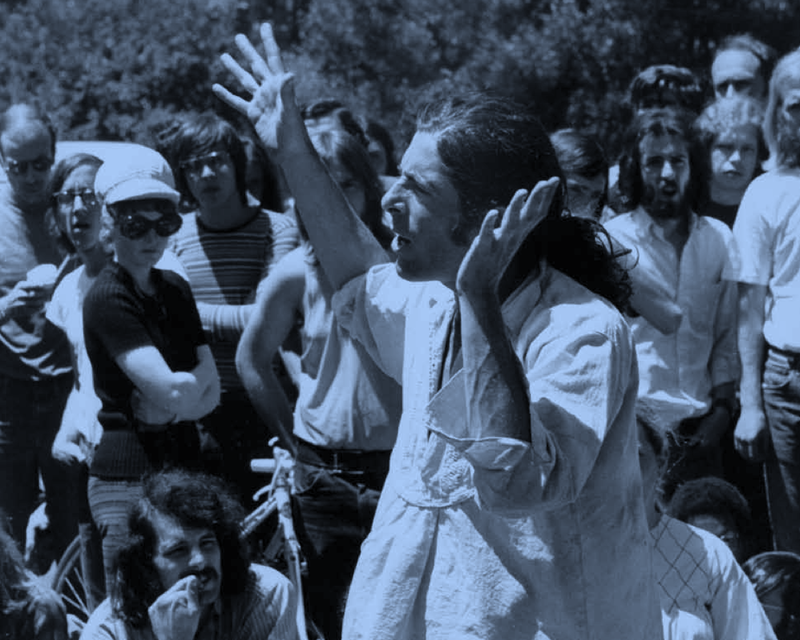 Herrick was part of the Ecology Action commune. Ecology Action was founded as a laboratory for household recycling practices and philosophy. A good-sized crowd descended upon a vacant lot on Dwight below Telegraph. They planted flowers and trees and installed playground equipment. They called it the Chuck Herrick Peace and Freedom Park. We can call it a dress rehearsal. Maybe Delacour knew about it, He remembers it has having been in the traffic triangle where Dwight continues east and swooshes south onto Telegraph. From the photo, it looks to me like it is in the space now occupied by Industrial Tattoo & Piercing, 2434 Dwight. The precise location matters not. 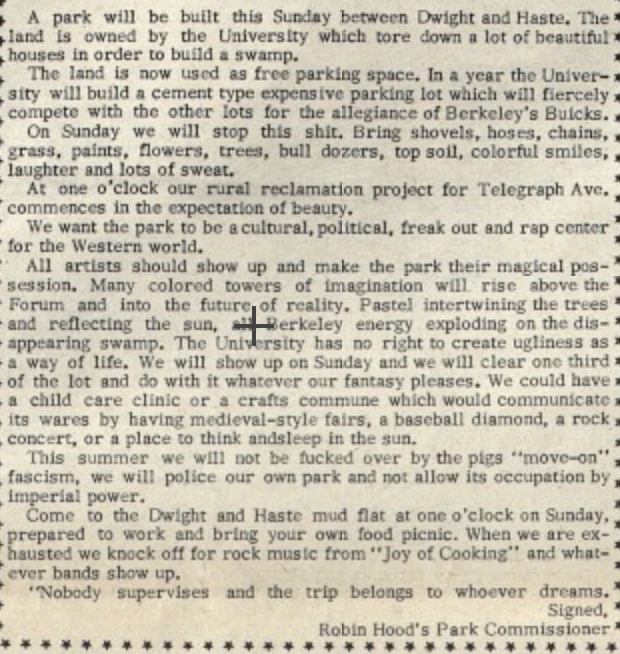 On April 15, 1969, Delacour called for an organizing meeting about the park at Red Square. 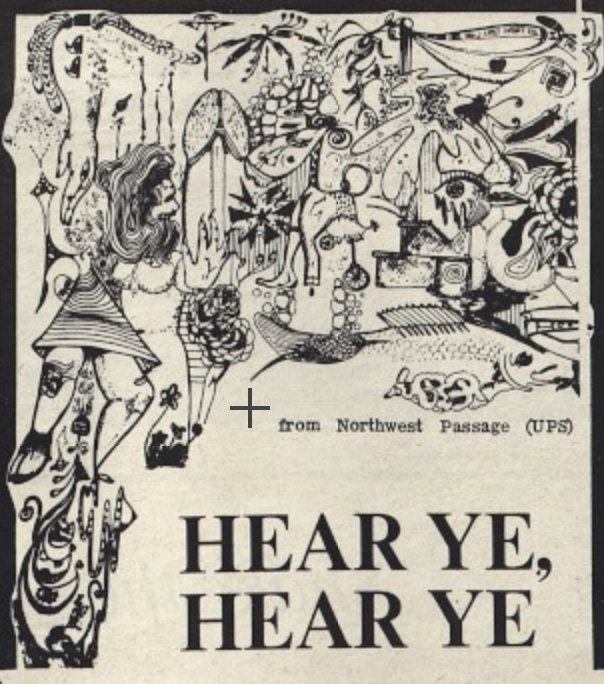 Present were Wendy Schlesinger, John Angelo, Doug Bogen (later known as Doug Cooper), Paul Glusman (head of the one-man organization “Stalinists for Peace”), Stew Albert, and an “old carpenter” named Curtis. Stew Albert took the idea to the pages of the Barb,writing under the name “Robin Hood’s Park Commissioner.” The idea went public and it went big and it went fast. Jon Read, Mike Lyon, Art Goldberg, Frank Bardacke, William Crosby, “Big Bill” Miller, and “Super Joel” Tornabene joined the core committee that would build and defend the park. 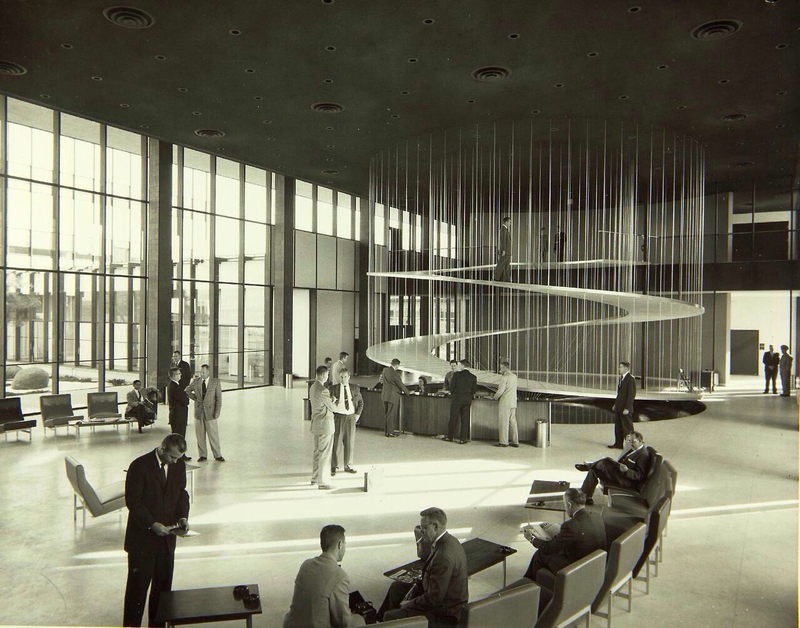 A few days later, the first Work Day took place. Chu remembers it as one of the great days of her life. There weren’t enough tools so people waited their turn. There were no bosses -“Nobody supervises and the trip belongs to whoever dreams.” There was no plan. You did what you were inspired to do. Everybody got a blister. Chu smiles when she talks about the work days, the hope. Robert Scheer wrote about the work day in Ramparts: “The people who came to work were the type that resists ‘leaders’ and much credit is given to Delacour for havng developed a style of leadership that stresses example, rather than exhortation. 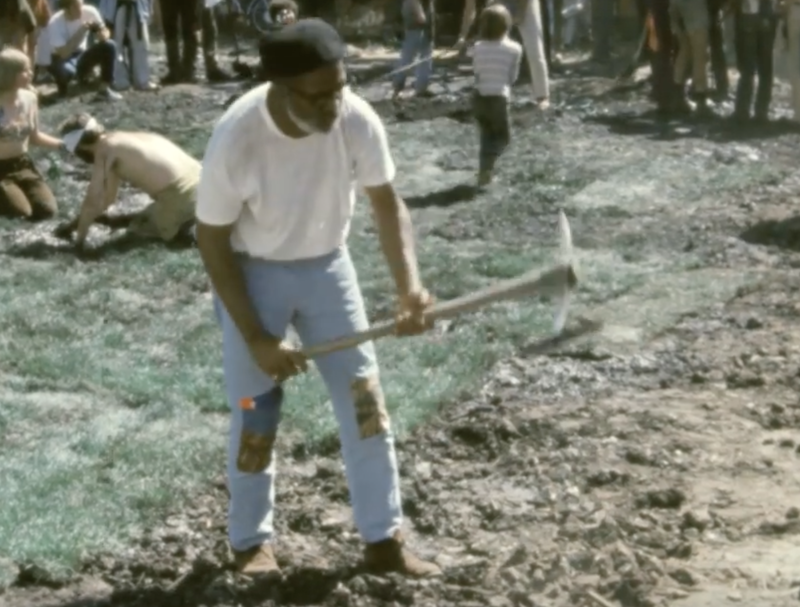 He simply worked the hardest at different jobs.” Wendy Schlesinger wrote about “the tangible feeling of accomplishment” she derived from being part of a “sod chain” that unloaded and planted ten tons of sod. The joy and hope of the early days of People’s Park are often forgotten in light of subsequent events. 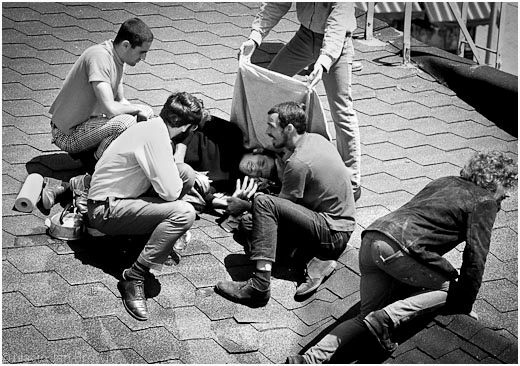 This photo shows James Rector, a young man from San Jose, on the roof of 2509 Telegraph on May 15, 1969. 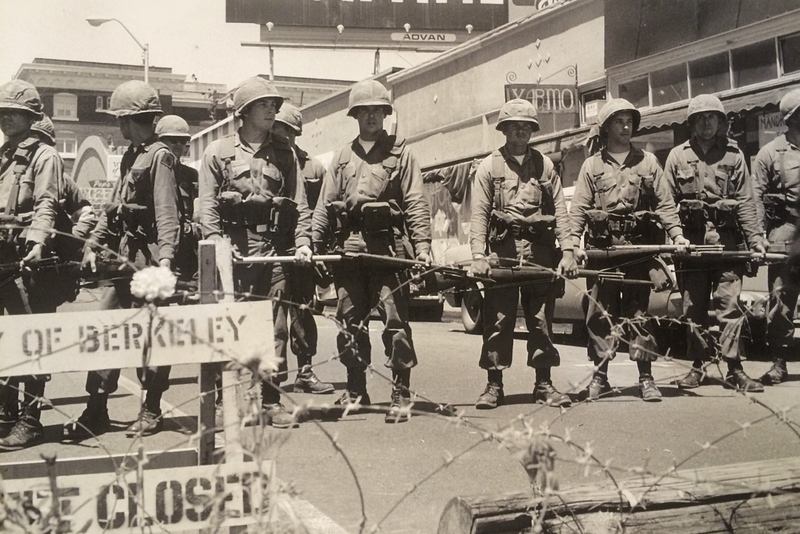 Acting under general orders of future Attorney General Ed Meese granting law enforcement the right to use whatever methods they thought appropriate, Alameda County sheriffs armed with shotguns loaded with buckshot shot Rector. He died four days later. Alan Blanchard, blinded. 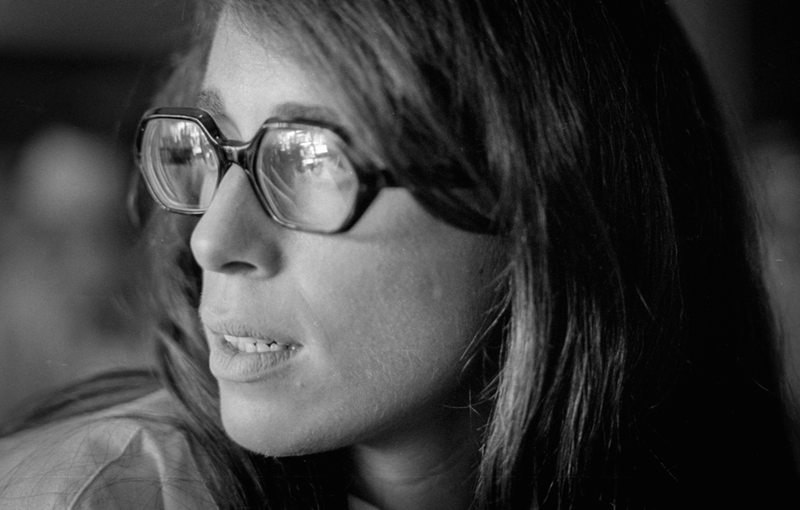 Photo: Kathryn Bigelow. 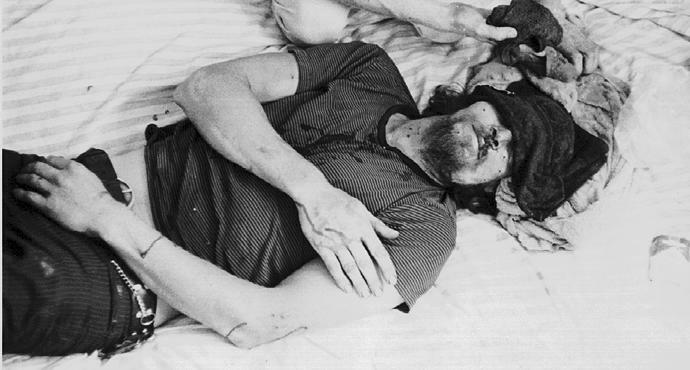 Another onlooker on an adjacent roof, English art student Alan Blanchard (for whom Chu had made shirts) was blinded by buckshot. Dozens of students were shot and injured less seriously as they fled south on Telegraph, most shot in the back. The struggle over People’s Park continued, and continues today – but – back to Chu. And what of Red Square? When Chu and Delacour parted ways, Red Square didn’t feel the same to her. She had given it three years and wasn’t down for continuing it on her own. She reached out to the women who had made clothing on consignment and offered them the store. A group took her up on the offer, turning the store into a cooperative. After a while, they moved south half a block to C.J.’s Old Garage. 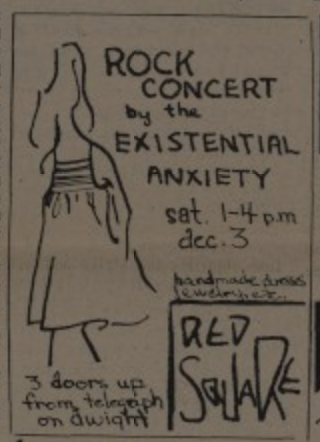 They dropped “Red Square” and went with “By Hand” – changing times. 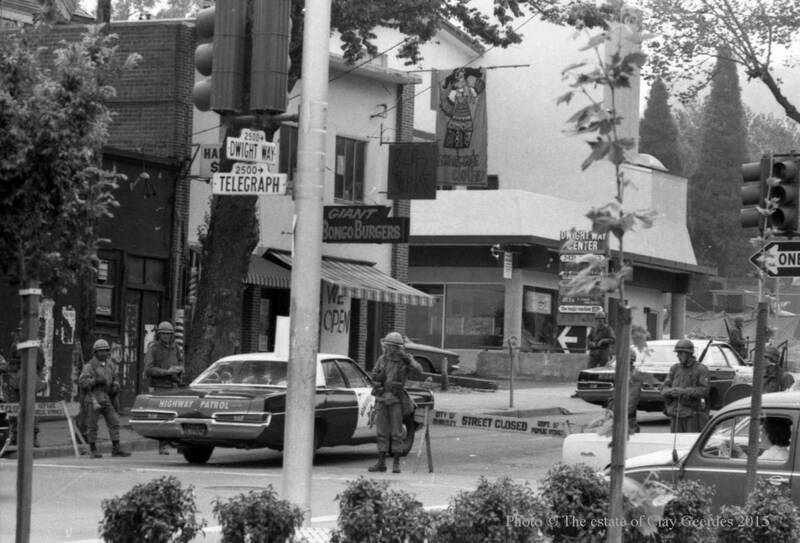 By Hand moved to Solano Avenue where it held down several different storefronts. It closed two years ago. 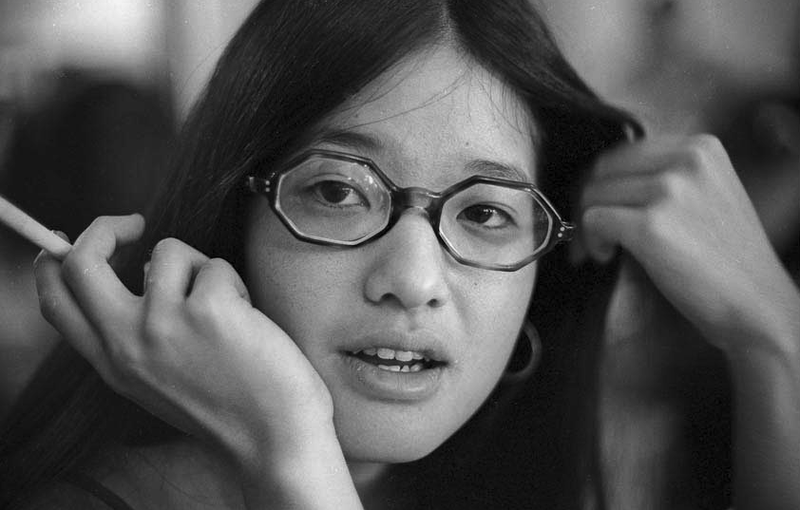 Chu left Berkeley in 1970. She bummed around Canada and then with a friend bought airplane tickets for Africa. She lived in Morocco, Senegal, and Gambia. They had $500 when they left for Africa. It lasted them a year and a half. And then she has lived a full and productive and and progressive and content life. She is stlll fighting the good fight, committed to progressive causes and to art and to freedom. 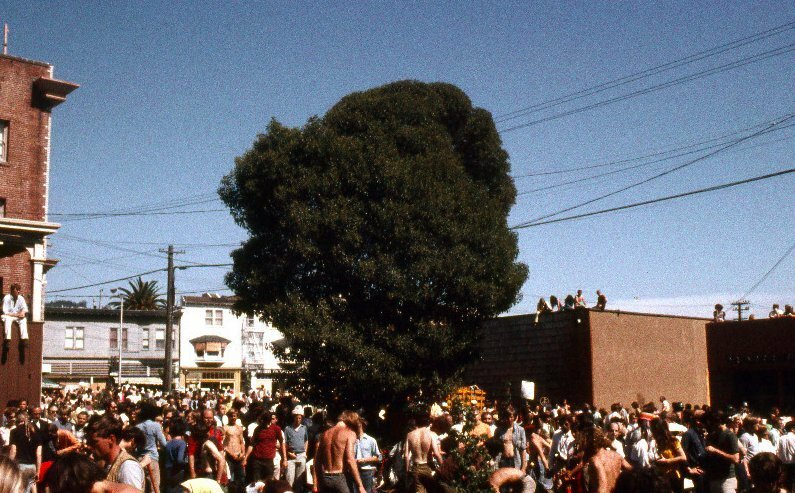 What an extraordinary five years though – the Free Speech Movement and Miss Chinatown and a dress shop and People’s Park. Berkeley! There are many stories from those days. I will tell some of them from time to time. I don’t want to preach about People’s Park. Teach, maybe. Preach no. As plans swirl around us to once again bulldoze the park and build on this hallowed ground, can we remember that there is unfinished work? Wait – that was kinda preachy. Let’s just think about Chu’s story. 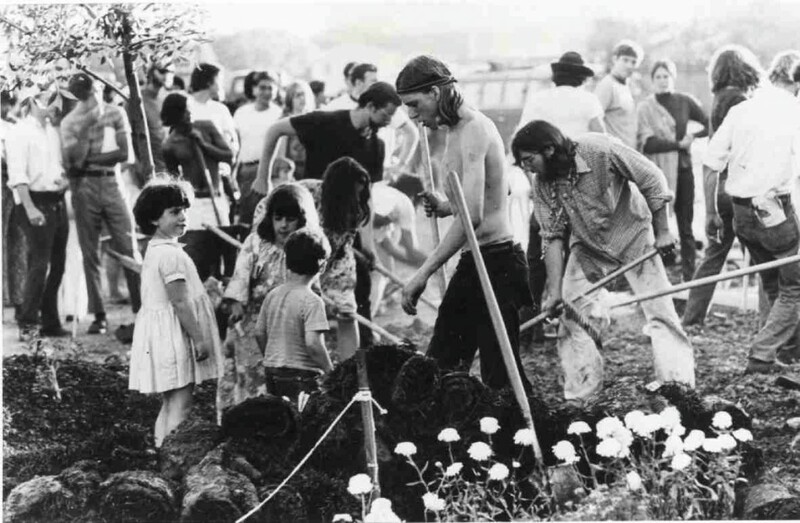 Let’s envision those early days of hope, days of planting and music and optimism. Let’s look at the photo of Chu and Schlesinger, let’s think of the dream they dreamed. I don’t want to get my friend started on People’s Park, but I want his opinion on this post. I like reading your histories. Thanks. 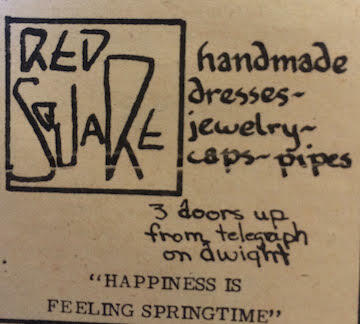 Amazingly, Red Square actually sold my wire and bead earrings back in the late 60s. Bless the, bless them! Hi Allison! Your work and the contributions of so many other craftspeople is what made Red Square a really unique store that helped support a lot of us. Fun times back then! Great story, wonderful photos. I came to Berkeley later, in ’76, when a lot of what you write had died down but enough of the era’s original zeitgeist remained. Your article wakened a lot of dormant memories. One thing—our generation sure did protests with style. The Millenials have a lot to learn from us. I remember Liane very well. When we met – probably around 66, although those times were a blur – Liane was with Billy Clewlow, a grad student in Anthropology at UC Berkeley. I was an undergrad in the department. I recently stumbled onto a link online that led me to your piece. Thanks for documenting this slice of those extraordinary times. Liane was lovely.